A girl’s first period is a major turning point in her life – the moment she crosses the threshold from childhood into adulthood, the moment she becomes a woman. It is a time fraught with anxiety, and often, with a sense of shame. Mothers and older sisters are the first to be told when a girl begins her first period; menstruation is a “woman’s secret,” and men are expected to be kept deliberately ignorant of its details. Girls are scolded for letting slip any hints about their menses to the menfolk of the household, who often remain blithely oblivious to the maturation of their daughters and sisters. Should a situation arise wherein the subject comes up, the male reaction is usually one of mortification, irritation, and a gruff change of topic. Yet this awkward, complicated relationship between young girls and the menfolk around them doesn’t need to exist. In fact, shocking as it may seem, a different type of relationship entirely could exist – one of compassion, sensitivity, gentleness, and understanding… not only between girls and their immediate male relatives, but, in fact, between the unrelated men and women of the Ummah. The proof for this lies in the seerah itself. Umayyah bint Qays was a young girl, who had not yet reached puberty, who joined the Muslim army on its way to Khaybar. RasulAllah (sallAllahu ‘alayhi wa sallam) had her sit on his she-camel, just behind his luggage, and they rode for some time. When they paused for a reprieve, RasulAllah descended and had his camel kneel down, whereupon Umayyah got off as well. To her mortification, she noticed that the luggage she’d been sitting on was smeared with blood – her first period. Umayyah sat back on the bag, leaning forward to try and hide the blood stain, her cheeks flushing with embarrassment. Umayyah followed his instructions, and was once again seated upon RasulAllah’s camel. 1) Umayyah was what we would think of as a ‘tween’ today – a young girl straddling the line between childhood and womanhood. Whereas most girls of that age today are pushed away by their fathers and brothers to “go be with the women,” RasulAllah fondly had her accompany him on his own camel. Considering that even the great men of the Sahabah vied to be in RasulAllah’s presence and thought of it as a great honor, this shows how much RasulAllah valued every member of his Ummah – male and female, young and old. Can you imagine how thrilled Umayyah must have been to be given this honor, how confident she must have felt at being chosen to ride with the Messenger of Allah himself? Every young girl wants to feel special and valued; and what better way to make this young believer love Allah and His Messenger than to choose her out of the throngs of adults who made up RasulAllah’s closest advisers and warriors? The gentle, compassionate, and respectful relationship that RasulAllah displayed with this young member of his Ummah was also emulated by his sahabah. Abu ad-Dardaa’ used to be the guardian of an orphan girl, and he would bring her to pray with him amongst the men, wrapping her in his own cloak. When she attained puberty, he gently sent her to pray with the women, but continued to look after her carefully. She later became known as Umm ad-Dardaa’ as-Sughraa, and one of the great scholars of the Tabi’een. 2) A girl’s first period is a major turning point of her life. In many cultures, it is treated with shame and embarrassment, made to seem as though it is something evil or unfortunate – something to be hidden amongst women and kept a secret from men. Imagine how mortified Umayyah was – not only had she just started her first period, but she wasn’t even with her mother or other women… in fact, she wasn’t even with a male family member! She was with the Messenger of Allah, and her menstrual blood had stained his luggage. If RasulAllah was like many other men, he could have gotten angry and upset, or shooed her away and made her feel ashamed for what had happened. Instead, he was soft, gentle, and understanding; he didn’t blame her for anything, didn’t demand angrily “What have you done?! What is this mess? !” He didn’t even ask her for an explanation; he provided one for her, and was incredibly sweet about it. In fact, he gave her simple, practical advice on what to do, and actually told her to return to him. 3) After the expedition of Khaybar was over and the Muslims had won the battle, RasulAllah didn’t simply forget Umayyah and never think of her again. Quite the contrary: he hand-picked jewelry for her, brought her forward to him again, and gave her the necklace himself. What better way to warm her heart and remind her of an experience that could have been a source of lifelong embarrassment, but was instead one of the most wonderful events of her life instead? RasulAllah’s behavior with this young girl holds so many lessons for Muslim men on how they should deal with their sisters, daughters, and in fact, any young girl at all, whether she is related to them or not. His actions are an example of how every girl should be honored and treasured as valued members of this Ummah. RasulAllah and his sahabah, such as Abu ad-Dardaa’, displayed how a relationship of compassion, gentleness, respect and dignity between men and women, boys and girls, is possible and, indeed, necessary. Considering the current state of gender relations in the Muslim Ummah – whether it be extreme, harsh segregation or unhealthily close relationships – the balanced, positive example of RasulAllah is one that we must follow. In fact, it can be said that acting upon this sunnah is imperative for the psychological health of the Ummah. 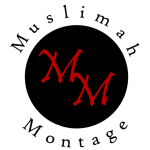 As Muslims, we should endeavor to create a safe and healthy environment in which even a young pubescent girl in a sensitive or difficult situation can feel comfortable enough to turn to her brother in Islam – even if he is an unrelated male, or older than her in age – and trust that he will care for her with the compassion, respect, and dignity owed to any fellow Muslim, whether male or female. The honour and dignity of Muslim men and women, which they hold within themselves and accord to each other, is something that is unique to the Ummah of RasulAllah (sallAllahu ‘alayhi wa sallam). Although many Muslims appear to have forgotten about it, preferring flawed cultural notions of ‘honour’ instead, it is up to us to reclaim this beautiful aspect of our Deen and follow in the footsteps of the heroes and heroines of Islam.